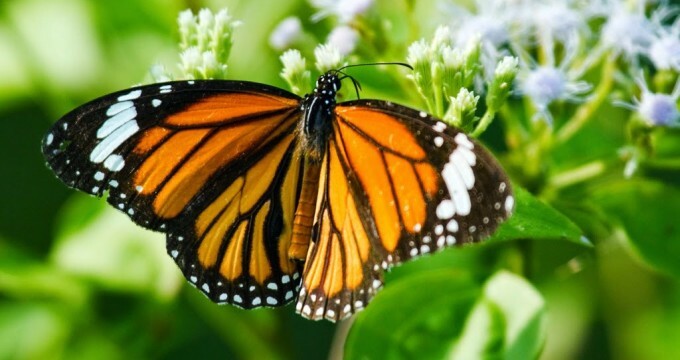 Sri Lanka will fascinate butterfly watchers with its wealth of 242 recorded species, many rare and threatened, 14 endemic to the island. Most species have habitats in the lower foothills upto 1000m, but 6 rare mountain species inhabit elevations over 1,250m. The best sites for watching are the Sinharaja Forest Reserve, the Knuckles ranges, Horton Plains (mountain varieties) and the Adam’s Peak Wilderness. A spectacular annual migration of butterflies to the sacred mountain Sri Pada (Adam’s Peak) can be seen in March – April, which folk lore claims is an act of homage to the Buddha (whose foot print is enshrined there) who preached kindness and compassion to all creatures great and small.